In the early 50s, a small group of parents and other concerned individuals came together to act as voices for change. At the time, little was known about developmental disabilities or the potential of individuals with different abilities to learn and achieve their best. There were virtually no programs in communities to assist in the development and personal growth of individuals with developmental disabilities--or to support families. Like every parent of a child, the founding parents of The Arc wanted more. They wanted their sons and daughters to lead fulfilling lives in the community with opportunities for education, socialization, jobs and independence--just like everyone else.  It was in that spirit that The Arc San Francisco, now supporting adults with developmental disabilities across three counties, was born. To transform the lives of adults with developmental disabilities by advancing lifelong learning, personal achievement and independence. Our full name is The Arc San Francisco. The "arc" in our name represents the arc of achievement. We believe that with the right support, and over time, people with developmental disabilities can fulfill their highest potential, achieving personal goals and lifelong success--however it is personally defined. An inclusive world in which all people with developmental disabilities can thrive. The Arc San Francisco founded by parents. Launch of our first paid work program for clients. The Arc appointed by the legislature to be one of California’s first two regional centers. Golden Gate Regional Center established as a separate non-profit agency. It now serves approximately 9,000 families in 3 counties: Marin, San Francisco and San Mateo. Began donated goods resale shop partnership with ThriftTown and Norquist Salvage. Launched Supported Employment Services in partnership with University of San Francisco. Began providing Residential Services to support clients to live independently in the community. Addition of Senior Services for older adults with developmental disabilities. Residential Services expands to accommodate individuals with severe and multiple disabilities. Multicultural Employment Services expands immigrant client job opportunities. Integrated our services so clients can utilize multiple supports, such as job placement and life skills training. Kicked-off of $1,000,000 Capital Campaign to build San Francisco’s first affordable housing for people with developmental disabilities. Completion of 416 Bay Street, San Francisco, a 9-unit apartment building housing 21 clients, and a new Senior Service facility. Purchase of our main facility at 1500 Howard Street, San Francisco, finalized. Received grant from The California Endowment to establish Supplemental Medical Case Management services to improve client health and fitness. Piloted Optimal Wellness Program to provide medical advocacy, health and nutrition services for older adults with developmental disabilities. 100 Jobs in 100 Days Campaign results in placing 100 clients in new jobs. The Arc opens a new facility in Daly City, San Mateo County, with ArtReach Studios and integrated work and community services. The Arc’s Household Goods Recycling Services moves operations to main office at 1500 Howard Street. The Arc, USCF and other community and health care partners initiate landmark effort to reform California’s health care system for people with disabilities. The Arc celebrates 60 years and announces a $1,000,000 Anniversary Leadership Fund to support Health & Wellness, Transitional Youth, Residential Services and Anti-Bullying/Anti-Isolation Programs. The Arc San Francisco expands its lifelong learning curriculum to include new Adult Life, Internship and Career Development & Advancement programs. The Arc opens a new facility in San Rafael, Marin County, with adult enrichment and career development classes on-site and in the community. The Arc San Francisco and Mercy Housing mark housing milestone with construction of affordable housing units at two San Francisco properties with universal, accessible design for residents with developmental disabilities. Launch of The Arc SF Path to college to accelerate the enrollment, education, employment and success of adults with developmental disabilities at City College, San Francisco and other postsecondary institutions. The Comcast Learning Lab opens at our Howard Street location. Launch of our 3-Year Strategic Plan, "Future Forward," a roadmap for Client Success, Operational Excellence, and Trust and Transparency.